I don’t know about you, readers, but I have been having an absolute blast watching this year’s “Crisis on Earth-X” four-part crossover event! I was a big fan of last year’s “Invasion” crossover, but thought it would be a huge bar for the teams behind these shows to have to clear. First, let’s acknowledge how awesome it’s been having all four shows completely involved in the quest to punch Nazis. 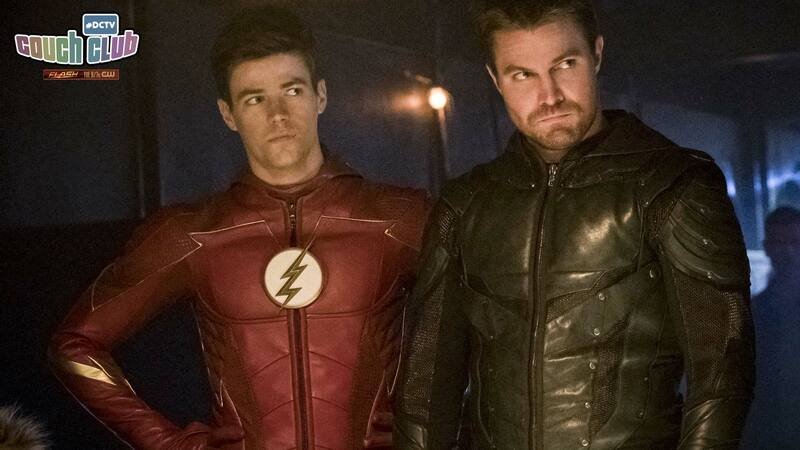 Last year, the narrative was contained in some shows more than others (what with Arrow hitting an anniversary episode during the crossover as well), but this year they’ve all been in on the action from the very beginning. The Flash really gave me something incredible in the third part of “Crisis on Earth-X.” The introduction to the Ray was just the best! Full disclosure: I’ve been a fan of Russell Tovey since he was on Being Human (the UK version), and was nothing short of delighted to see that he is getting to be a superhero! The Ray recently had a great comic book reintroduction as a part of Rebirth written by Steve Orlando that I think is a nice reintroduction to a character who has been out of the main DC Universe continuity for a little while now. The version seen in Crisis on Earth-X is Ray Terrill, who is actually the second person to ever bear the name “The Ray.” Terrill was introduced in 1992 and was featured a series of the same name in the 1990s that was written by Christopher Priest, who is currently writing the acclaimed DEATHSTROKE comic for Rebirth. In many ways, there are comparisons to be made between Ray Terrill and Superman, in that he has a very complicated relationship with the sun. His powers operate similarly as a solar battery, and in both versions of his origin (it wouldn’t be comic books without an origin retcon! ), Ray Terrill is told that he cannot handle direct exposure to sunlight. As you might imagine, this is anything other than the case. Ray Terrill also stands beside characters like Batwoman, Midnighter and Maggie Sawyer in that he’s gay. I have to admit, this is one of my favorite traits of Ray’s that made it into the crossover, especially considering who he’s partnered with. From the first introduction of Wentworth Miller’s Leonard Snart, I have loved that character. (And I’m not the only Couch Clubber who does. Meg’s a big fan as well, as you’ll be reminded when you read her Legends of Tomorrow column later.) Miller’s Captain Cold brought a unique update to a classic Flash character that could only possibly work on The Flash as it is currently appearing on television, and I think that is something really special. If you would have told me that I would adore the character even more if you gave him the classic Captain Cold costume (which is, admittedly, ridiculous) and the Ray as a boyfriend, I don’t know if I would have believed you. I left “Crisis on Earth-X” Part 3 hoping that Ray and Leo would find a place for themselves somewhere on Earth-One (or the Waverider! ), where they could be much happier than they ever were on Earth-X. It was nice being able to drop into a pre-existing relationship that is functional and fully supportive, rather than having to watch them come together as typically has been the status quo on the #DCTV shows. Maybe they’ll get married next season? Every time superheroes are able to reflect diverse societal groups, it makes me smile. The idea that anyone can be a superhero is an incredibly powerful one. I know we’ve seen a loving gay couple on The Flash before (shout out to Captain Singh and his hubby!) and Arrow (R.I.P. Curtis and Paul), but they haven’t enjoyed a mainstay presence in the show. Not sure if Leo and Ray are going to be joining any teams immediately, but I’m crossing my fingers for that! And if not, well, at least there’s the animated series to look forward to! If you are also hoping for Ray and/or Leo to join a #DCTV show on the regular, hop into the comments section and let me know who you want to see and where you would like to see them! I’d like to end by giving tremendous credit to the costume design team that works on The Flash. Over the seasons, they’ve taken several outfits that look great on the page and translated them into functional real-world onscreen options. Their continuing ability to do so is nothing short of impressive and the Ray looks outstanding. Even the helmet, which could have presented a big problem, but is so iconic to the character, wound up looking spot on! What it boils down to is…the Ray is making a play for my new favorite character to join the #DCTV Universe this year!